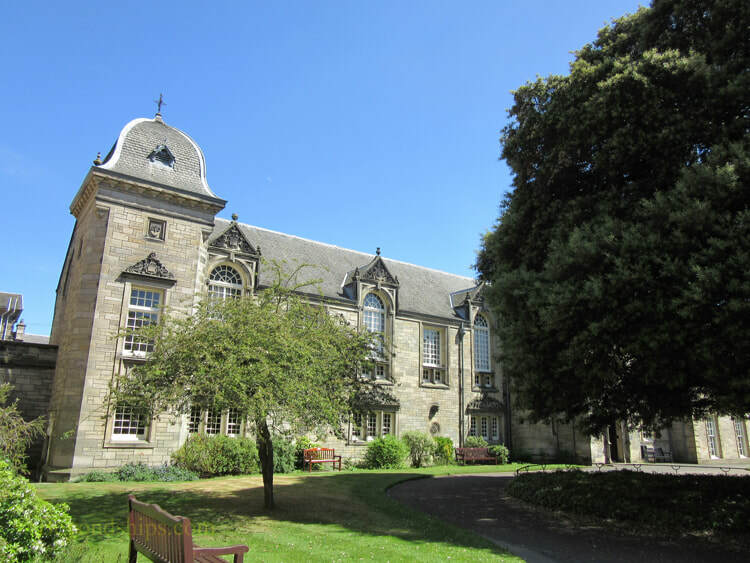 The University of St. Andrews, popularly known as St. Andrews University, is a public research university. It is the third oldest university in the English-speaking world and is often rated as the third best university in the United Kingdom after Oxford and Cambridge. 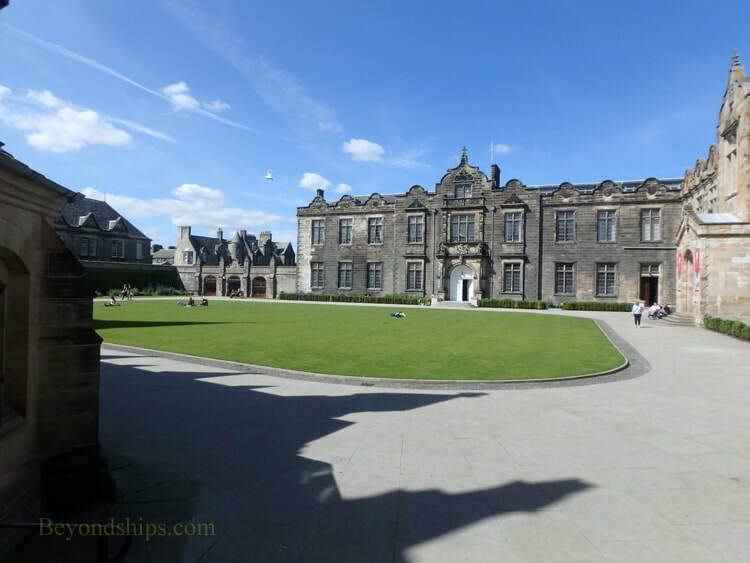 St. Andrews was founded in the early 15th century by Augustinian clergy who had fled religious strife in France. The town of St. Andrews was a logical choice as it was an ecclesiastical center with Scotland's largest cathedral and a monastery known for its learning. With such origins, it is not surprising that the university's fortunes declined after the Reformation. 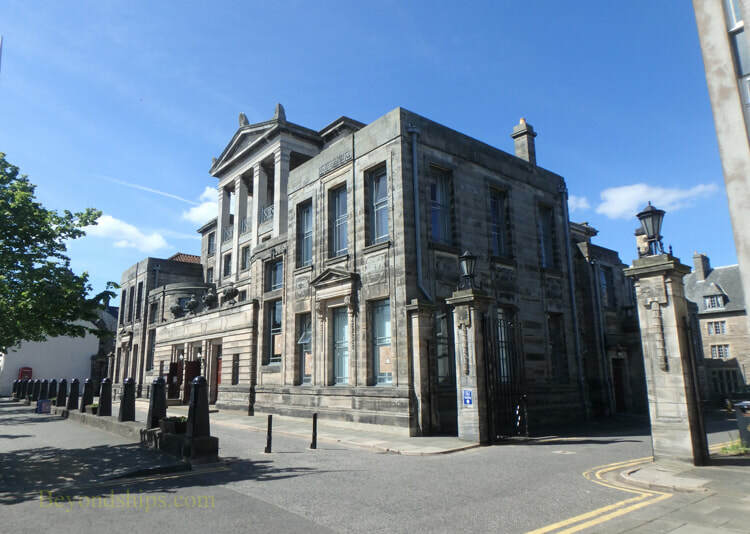 However, by the 19th century, the university was again on the upswing largely due to its relationship with the academic institution in Dundee that became the independent University of Dundee in 1967. St. Andrews began admitting women on the same basis as men in 1889 at a time when most British universities did not admit women. Today, women are the majority. When the university is in session, about a third of the population of the town are students. They are a diverse group with about 45 percent coming from outside the UK. 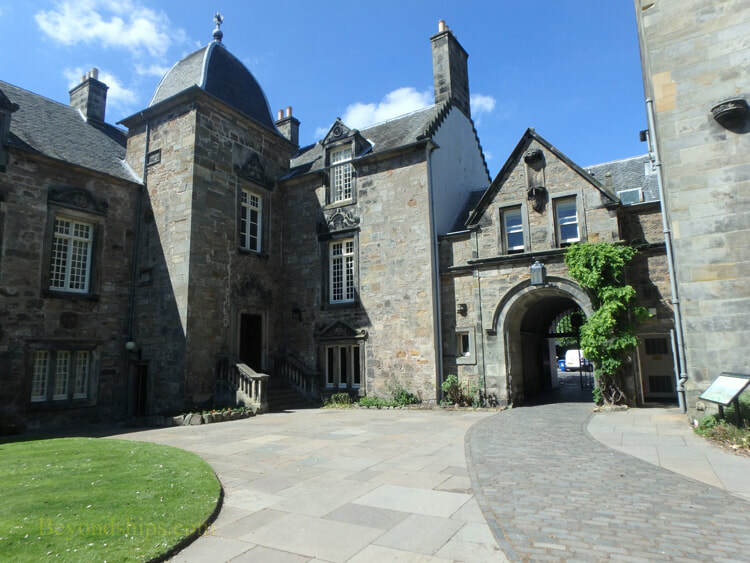 Early this century, St. Andrews made the headlines due to a romance between two of its students - - Prince William and Kate Middleton, now the Duke and Duchess of Cambridge. St. Andrews is not on a single campus. Rather, it occupies historic and modern buildings around the town. The university includes three colleges. It offers some 900 courses over four faculties - - Arts Divinity, Medicine and Science. Above and below: St. Mary's College, also known as the "New College" has been teaching theology since 1579. St. Andrews is known as the home of golf. The game has been played here for at least 600 years. For many years, the Royal and Ancient Golf Club of St, Andrews, founded in 1754, was the ultimate authority in golf , establishing the rules of the game for most of the world with the exceptions of the United States and Mexico. It no longer has this responsibility but its clubhouse is familiar to golfers the world over. 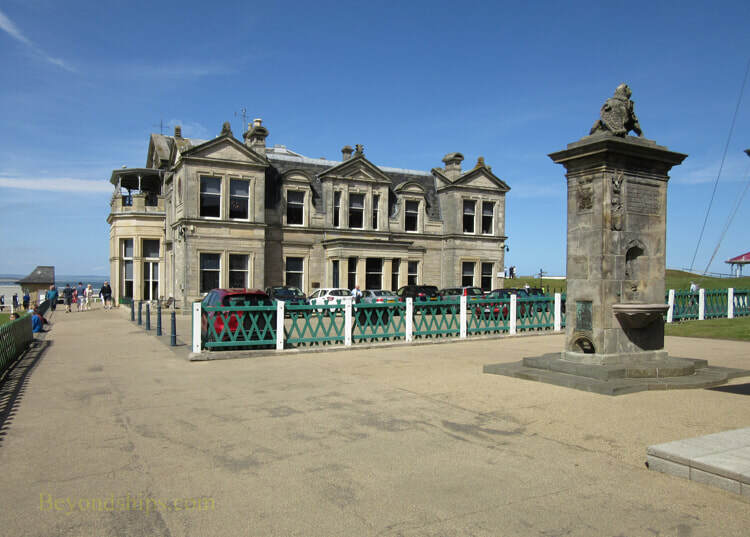 ​The clubhouse sits by the Old Course, which contrary to popular belief, is not owned by the Rpyal and Ancient Golf Club. 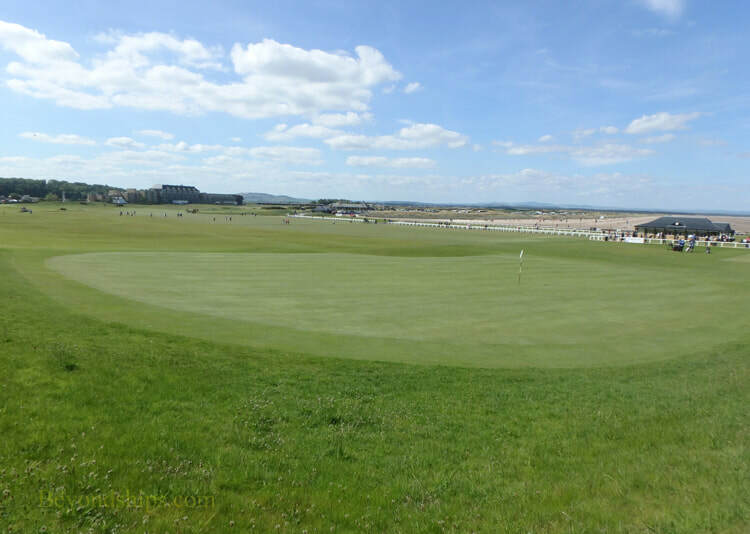 This public course, one of seven in St. Andrews, is famous as the site of numerous British Open Golf Championships. All of the great players have been tested on this links course by the sea. Located opposite the clubhouse is the British Golf Museum. It tells the story of golf from medieval times to the present. It has some 17,000 objects in its collection relating to both professional and amateur golf, British and international golf. Below: The clubhouse of the Royal and Ancient Golf Club of St. Andrews.